Reducing Barb/Insert x Male Thread. 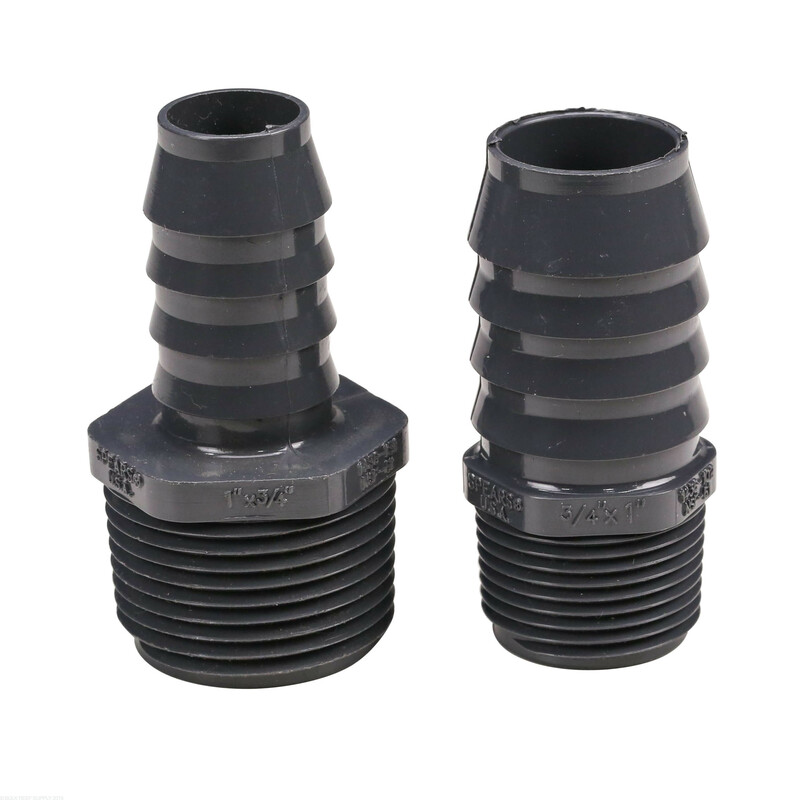 PVC Straight Insert Fittings for your plumbing needs. 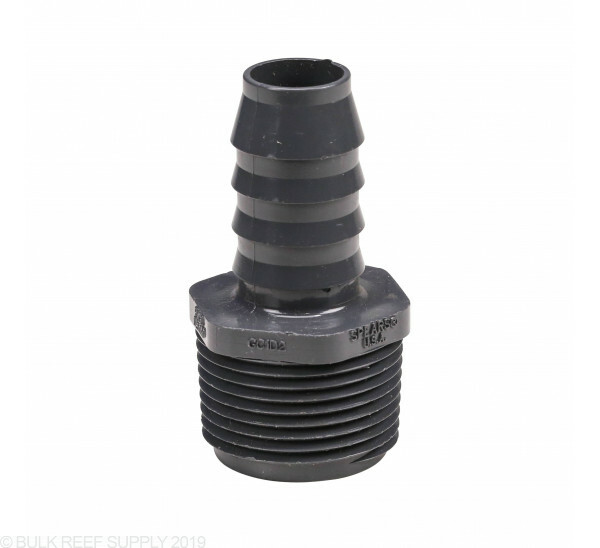 Use Schedule 80 Male Inserts where flexible turns and connections to fittings with female threads are needed. More professional look than white Schedule 40 PVC. Reducing fittings allow the change of plumbing size. 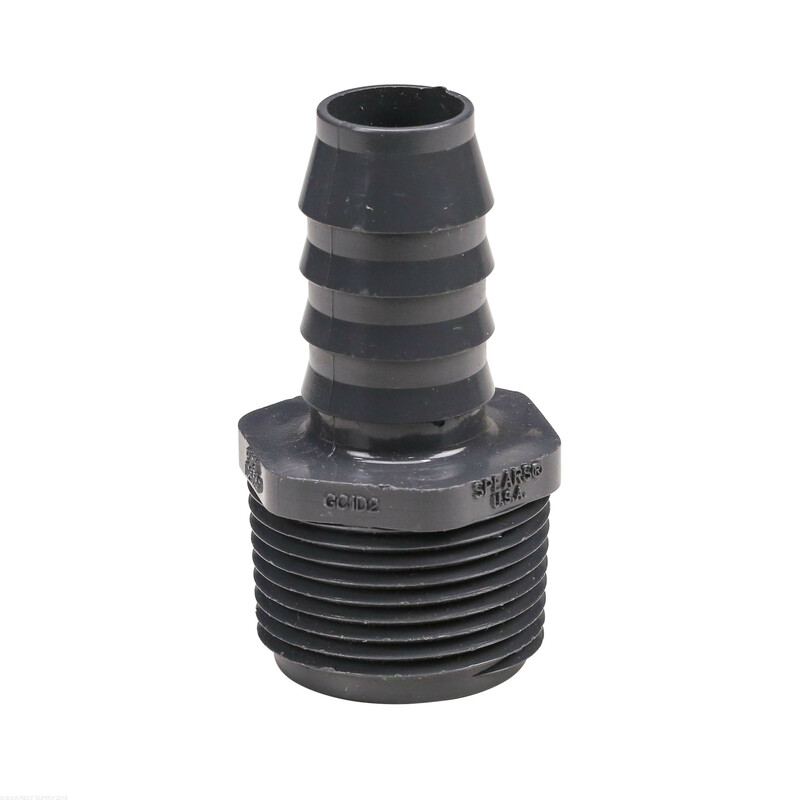 Barb x NPT fittings will accept traditional pipe thread on one side, and flexable tubing on the other. Is this adapter compatible with schedule 40 PVC? 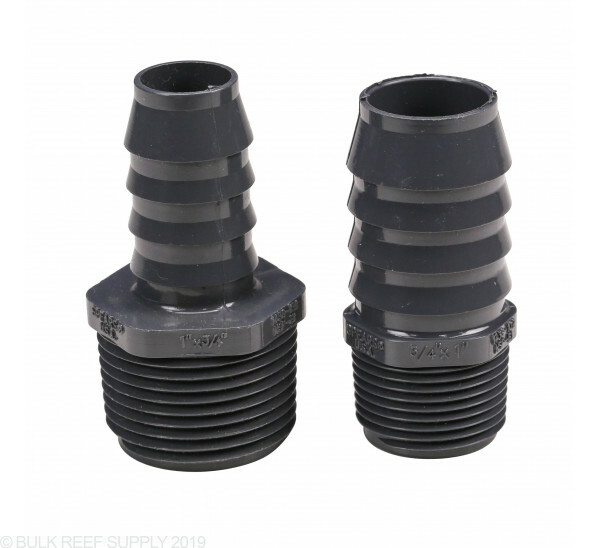 Yes, you will need a female pipe adapter to allow the PVC pipe to screw into the fitting but all of our barbed fittings will work with sch 40 or sch 80 PVC. 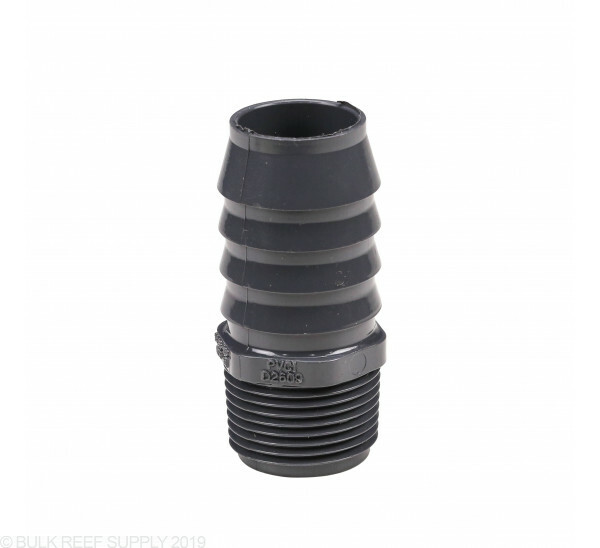 Do you have a 5/8" to 3/4" adapter size? Hi there, unfortunately, we do not carry any 5/8 PVC fittings. That dimension in PVC is not all that common, and you may need to source a vinyl adapter, which your local hardware store will normally stock.